India has the best inventory of vintage and antique furniture—both institutional and domestic—I’ve ever seen. 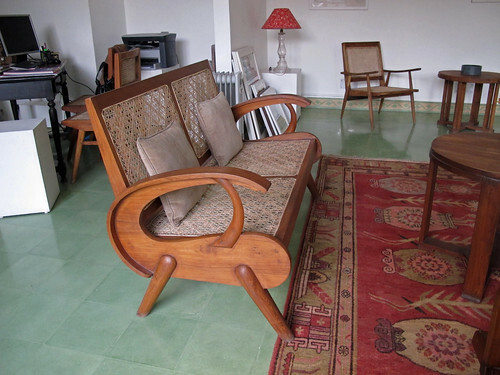 Especially deco and moderne (bench above) not to mention traditional Indian wooden furniture of various vintages. As discussed in this earlier post, in the early part of the 20th century the British administration in India hired architect Edward Lutyens to design the new city of New Delhi, and over the decades that he worked in India he brought Georgian, deco and moderne styles with him. This is the Mexico City house and studio of Luis Barragán, considered by many to be the foremost Mexican architect of the 20th century. Built in 1948, the house was listed as a UNESCO World Heritage site in 2004 and is now a museum. We weren’t allowed to take photographs, which is unfortunate because the photos provided by the museum’s website give an inadequate and even somewhat false impression of the house’s quite amazing interior. 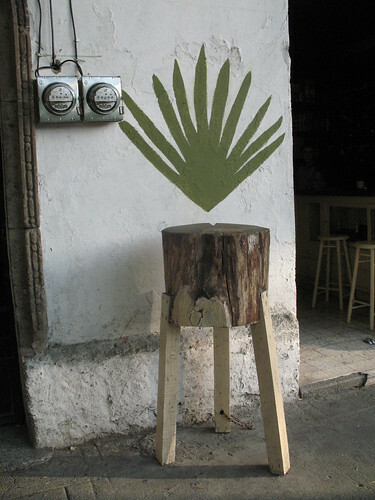 More design from Mexico City. These are just four benches out of the scores of original designs found all over town. 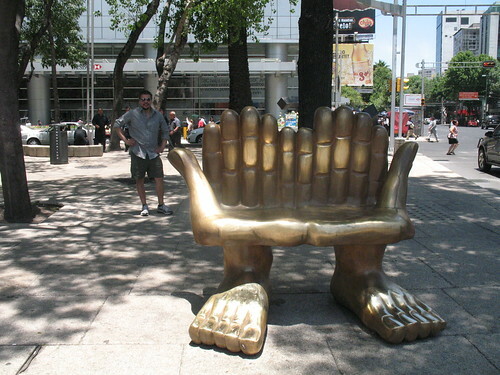 Many of these can be found on Paseo de la Reforma – two are the Pedro Friedeberg hand and foot bench, top, and the hippopotamus bench, bottom. Everywhere you look in Mexico City, you see something well thought out. Then you come home. Top, outside a mod bar in the Condesa district; brutalist bank building with relief exterior; art nouveau building in the Roma district; doorway in the Coyoacan neighbourhood; benches in Chapultepec Park; minimalist sans serif address lettering is everywhere; the amazing tiled library at Universidad Nacional Autónoma de México. This is the ur-seating platform. Think how many people would gather here at a party, and even Le Chat prefers it. This is from a house in St. Kilda, a suburb of Melbourne, Australia. 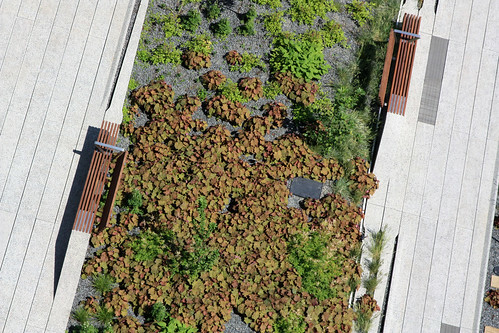 Why is Australian design so cool now? If you’ve ever seen Vogue Living Australia you know what I mean. Tags: Australia, bench, communal, Melbourne, pillows, seating, seating platform, ur-bench, Why is Australia so cool?